In order to use J-Link with TI CCS, min. V6.1.3 of TI CCS is required. Earlier versions might work but are not guaranteed to do so. 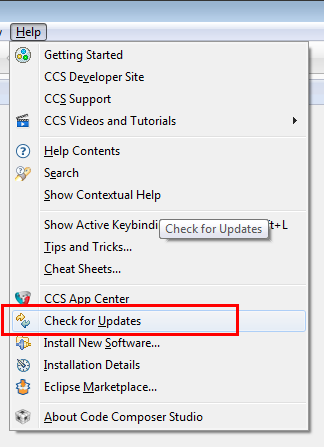 Please understand that SEGGER does not provide any support for CCS versions earlier than V6.1.3. Since TI CCS v7, J-Link is supported out-of-the-box if J-Link support is selected to be added at installation time of CCS. 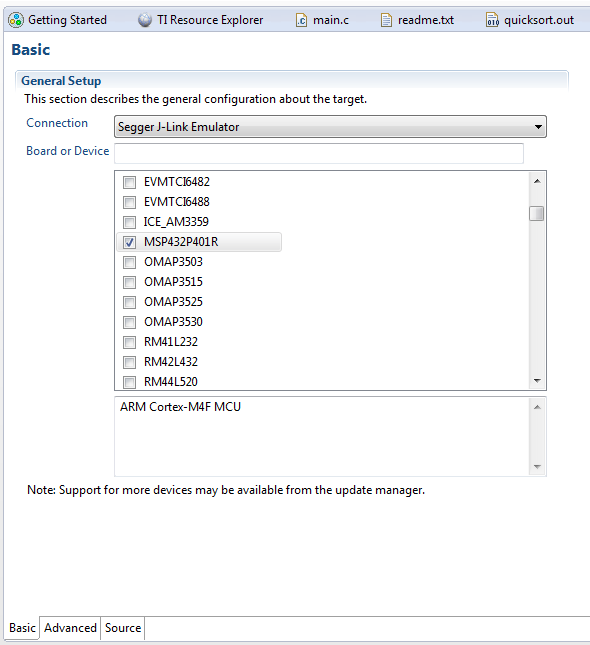 For more information regarding older versions of CCS: Adding J-Link support to older CCS versions. 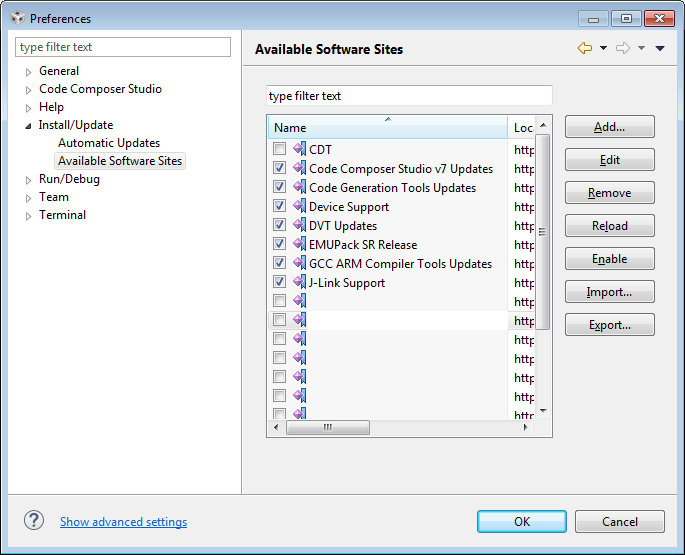 The J-Link plugin can be automatically updated as any other Eclipse plugin. A manual update can be triggered via Help -> Check for Updates. 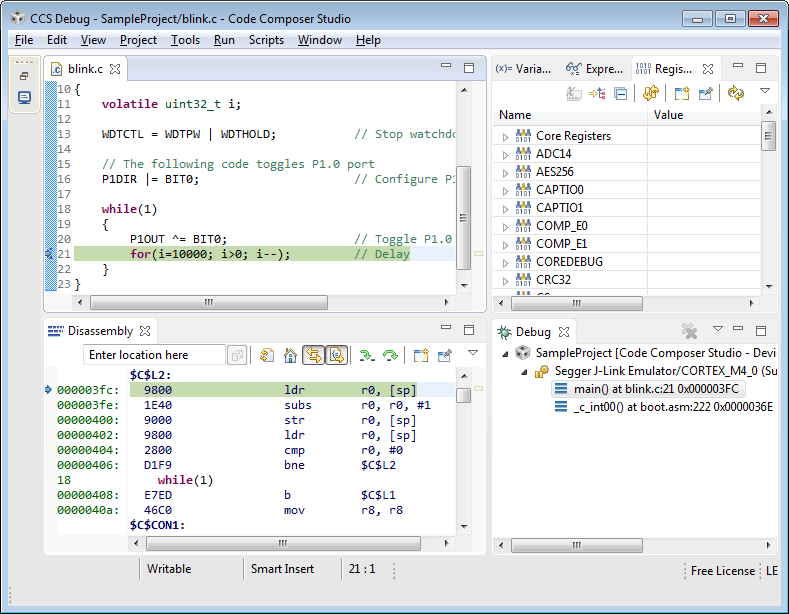 In the following, a short step-by-step tutorial how to configure a Code Composer Studio project to be used with J-Link, is given. Now the project is ready to be debugged with J-Link / J-Trace. 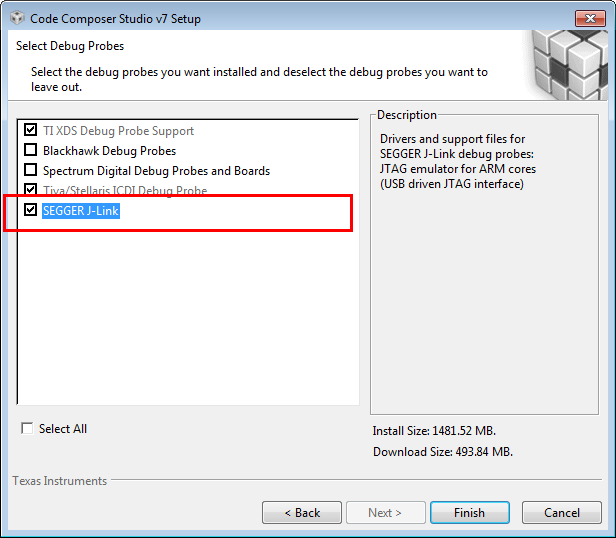 In order to get started with J-Link and CCS, please make sure that latest SEGGER software and documentation pack is installed, which can be downloaded here. Note: The link is not browsable. Please do not try to download the plugin via your browser from the link above. The plugin is downloadable and installable via the TI CCS update interface only. 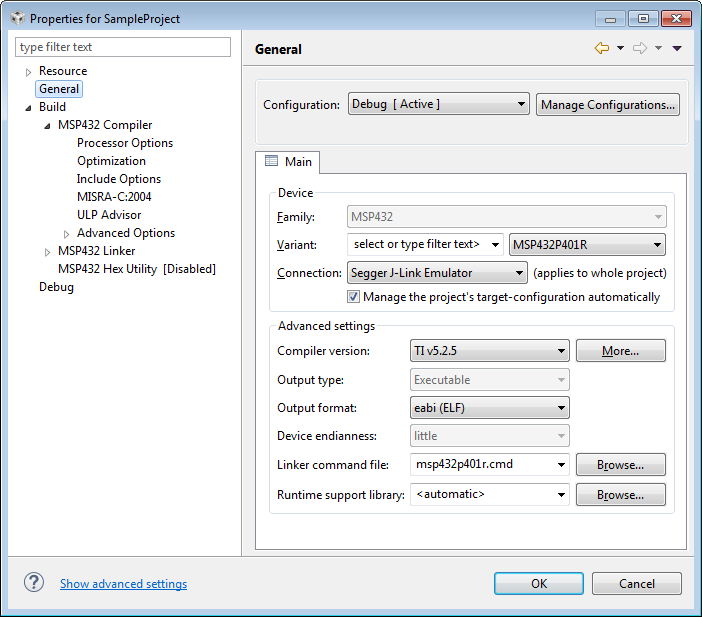 In current versions of the TI Code Composer Studio (CCS), the host interface to the J-Link (USB / Ethernet) can not be specified in the project settings. The J-Link DLL allows to override the used host interface using the J-Link Commander String SetHostIF. This command string can be passed to the J-Link DLL using the J-Link Script File function InitEMU(). Please find below an example J-Link Script File, which forces the J-Link DLL to open a connection to the J-Link via IP (192.168.104.174). How to use J-Link script files in CCS is described in the article below. The work-around can be used with any J-Link with Ethernet interface. Native host interface selection, using the GUI in CCS, is planned for future versions. This page was last modified on 18 October 2017, at 15:08.